Many scholars maintain that Exodus is truly the fist book of the bible insofar as it provides a kind of logical starting point for the larger biblical narrative. It is out of the memory of being liberated that the entire story of the bible emerges. Even the Genesis account, which precedes it in the order of the canon, was written out of the memory of the Israelites’ exodus from the captivity of Egypt. 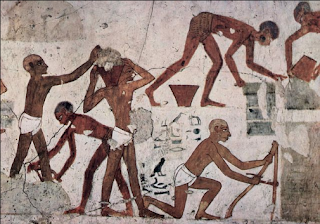 Prior to liberation, the Israelites were enslaved in Egypt for generations, made to “serve with rigor” (Exodus 1:13) until they forgot the meaning of freedom. Their very existence was reduced to productivity, to building up Pharaoh’s “treasure cities” (Exodus 1:11). They were slaves, not only by vocation but by identity as well; such that when they were finally free, they needed instructions on how to live as free people (Exodus 19:5-6). It was at Sinai that God met with Moses to offer these instructions and to give the law that would guide the people in their freedom. Grounded in the priority of God’s action--“I bore you on eagles’ wings and brought you to myself” (Exodus 19:4)--the people are given a picture of what it means to be the people of God, a theological rationale for living as “a priestly kingdom and a holy nation” (Exodus 19:6) in response to the salvation they received by the grace of God. God’s picture begins with the image of what it means to love God--“you shall have no other gods before me” (Exodus 20:3), and so on. It ends with the picture of what it means to love one another, to encounter other human beings as persons and not as slaves--“You shall not murder. You shall not commit adultery. You shall not steal. You shall not bear false witness against your neighbor. You shall not covet your neighbor’s house” (Exodus 20:13-17). But between those two images, there’s an image that may seem as strange to our modern sensibilities, if we are honest, even as it is familiar to so many of us who grew up in the church. Six days you shall labor and do all your work. But the seventh day is a sabbath to the Lord your God; you shall not do any work—you, your son or your daughter, your male or female slave, your livestock, or the alien resident in your towns. For in six days the Lord made heaven and earth, the sea, and all that is in them, but rested the seventh day; therefore the Lord blessed the sabbath day and consecrated it (Exodus 20:9-11). Central (quite literally, in fact) to the image God paints of the rationale for being God’s people, for responding to and participating in God’s ministry, is a command to stop. God tells the people that if they are to live into their identity as God’s people, they must rest and allow those around them to rest. This may seem counterintuitive. The people are finally free, should they not be getting busy being priestly and holy? It is just as counterintuitive as the seventh day of creation when, just after they had been given “dominion over the fish of the sea, and over the birds of the air, and over the cattle, and over all the wild animals of the earth, and over every creeping thing that creeps upon the earth” (Genesis 1:26), human beings’ first task on their first day on the job is to rest with God in the garden (Genesis 2:1-3), a rest they did not earn or need. It is certainly backwards to our modern sensibilities in industrial society which tells us that we should only rest when we need it and deserve it, in order to be more productive and to make better use of our time. But once we remember what this law is really about, once we remember that these are instructions for people who have been slaves for longer than they can remember, the reason for the centrality of such an image comes to light. These are people who have been programmed, as it were, to believe that their value and their identity as human beings rested solely in their work, their productivity, their contribution to the larger scheme of Pharaoh’s progress. God is telling them that, in their freedom, they are no longer slaves. They are not merely what they do. They are human beings and not just human becomings. They are who they are, even and especially in their rest with God. They not only need to be freed from slavery, but from the rationale of slavery itself. As we discover from the rest of the story, the rationale of slavery is seductive throughout the history of Israel. Indeed this is why the Pharisees in the Newer Testament take the call to keep the sabbath holy so seriously when they're living under Roman authority (tyranny). The threat of reverting to a mechanistic identity is every looming. Youth ministry in America, I am afraid, has a history of its own kind of rationale of slavery. 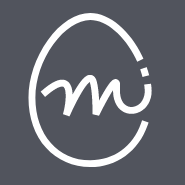 As youth workers and youth ministry theologians, our history of instrumentalism, of reducing our ministerial identity to productivity and seeing our ministry merely as a means to an end, is a seductive image and we need to embrace a new image of ministry not as a means to an end, but as a theological task of encountering and resting with God. We are not slaves to the outcomes of institutions, we are free to encounter God as we encounter one another and to accept God’s coming to us, God’s taking us “on eagles’ wings” (Exodus 19:4) as an end in itself. You have gathered us to worship you, to worship you together as one body. And we remember today that this is your prayer for us as a church—that we may be one as you are one. That we may love one another, welcome one another, lift up one another, and be open to each other. We confess that we have failed to do that. We confess that, even here, we are too narrow minded and too selfish to love as you love, to be as indiscriminately loving as you are. Our community, our body, is broken. So God, we pray that you would heal it. We pray that, just as your body was broken for us and restored, that you would restore our broken body; even as we re-member you at the communion table today. Help us, as we eat and drink, to “discern the body” to be sure that we have invited everyone whom you have invited. You are with us. You are closer to us than our very breath, and we trust that your presence is life-giving. So give life to those who are struggling and give hope to those who feel hopeless. Seek and save the lost. And God, with your life-giving presence, bring us joy so that we may celebrate the good in the world—every good gift that comes from you. Help us to be free and to find rest in you. Help us to be people of joy and gratitude… And it is with gratitude that we pray in the strong name of our crucified, risen, and reigning lord, Jesus. With this, his third book, David Auten has really come into his own - not only as a theologian and a pastor but as a spiritual guide. With a style and demeanor that's reminiscent of the likes of Henri Nouwen and Richard Rohr, Auten invites the reader into an alternative space. Too much of our theological writing approaches reality as a problem to be solved. Auten approaches it as a mystery to be embraced, liberating the reader from the compulsion of analysis. Exploring various experiences - including ignorance, conflict, and death - Auten invites the reader to live life with open hands and open hearts, from the spaciousness of emptiness. Reminiscent of Nouwen's concept of speaking out of silence (see The Way of the Heart), Auten invites us to live ex nihilo (from nothing). What we discover when we live in the embrace of this spaciousness, this emptiness, is that whatever is is a gift. In short, we discover that spaciousness is itself a grace. In Christ, we discover the freedom to become nothing and the joy of emptiness. 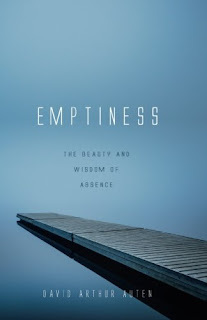 In a world where it has become taboo to do nothing, where we feel compelled, forced even, to fill every minute of our schedules with stuff, to fill every space on our shelves with something, the allowance of emptiness is a transforming and revolutionary grace. This book should be read and savored by theologians, pastors, and anyone who feels strangled by the clutter of life. Mike is the drummer for the praise team at our church. He’s a young guy, a teacher at the local high school, a drum line instructor, and—perhaps most importantly—a drummer in a band that plays venues up and down the Jersey Shore. Mike is cool. And the young people in our youth ministry know he’s cool. They see him drumming on stage just about every Sunday morning, providing the real cool-factor to the otherwise baby-boomer-style praise team. Heike is the chair of the finance committee at our church. She attends the traditional service where, instead of a praise team, we have a choir and an organ. Heike comes in the church office, usually when no one else is around, to do the books and make sure the church is in a decent financial position. Heike is also cool, but the young people at our church are less likely to know Heike than Mike. You’ve probably heard of Maslow’s hammer metaphor: "if all you have is a hammer, everything looks like a nail.” This metaphor rings true when it comes to how we think about the young people with whom we minister. The tools we have for interpreting young people’s experience will largely determine how we treat them and, ultimately, the shape of our ministry. This works the other way around too. If all we see are nails, we’ll never see the point of using anything but a hammer. This is why it’s really important for us to think about how see the people in our ministries—to wade into that sometimes monotonous debate about what we call young people. Should we call them “kids,” “youth,” “adolescents,” “young people,” “students”? Do we need to make up some new term? Most of us, I imagine, are ready to move beyond this debate. But I think we need to keep coming back to it, otherwise we risk using a hammer when we should be using a wrench… or perhaps a stethoscope or a mirror. So let’s look at a couple of the terms we use to refer to the people in our youth ministries and what tools they invite us to use. Students - Some of us use of the term, “students,” to refer to the people in our youth ministries because we think it has more dignity than “youth.” Perhaps we saw something pejorative or maybe just a little awkward about the term “youth.” Many of us started calling our ministries “student ministries” and we started referring to ourselves as “student ministers” or something like that. And while this might avoid some pitfalls of “youth,” it comes with its own problems. Besides the fact that not all young people are “students” in the traditional sense (some young people find themselves in socioeconomic situations that force them to drop out or not to enroll in school), and not to mention that young people with learning disabilities may have a complicated relationship with the term, there’s a more fundamental problem. As Andrew Root pointed out in his short but important article, “Stop Calling Them That,” “student” is a function, not a person. A person can be a student, but a student is not a person. This limits the tools we’ll use in ministry. If all you see are “students,” then you must be a “teacher” and your tool will be “teaching.” However, if it’s ministry we want to be about, not just education, we have to see the youth in youth ministry as persons. “Student” is about doing, person is about being and being-in-relationship. The young people in our ministries don’t just need us to teach them, they need us to minister to and with them. And we don’t just need to teach students, we need to learn from the young people in our churches, because the Holy Spirit at work in them is the same Holy Spirit who’s at work in everyone else. Adolescents - This is a complicated one. 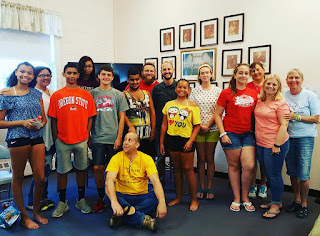 While few would wish to suggest that we call our ministries “adolescent ministries” (though I would venture to guess that there are a few churches out there that do), we are often trained to think that adolescence is just the technical term for youth. But as I have written elsewhere, not all youth is “adolescence.” What I mean by that is, adolescence is not always the best diagnosis for what young people are experiencing. 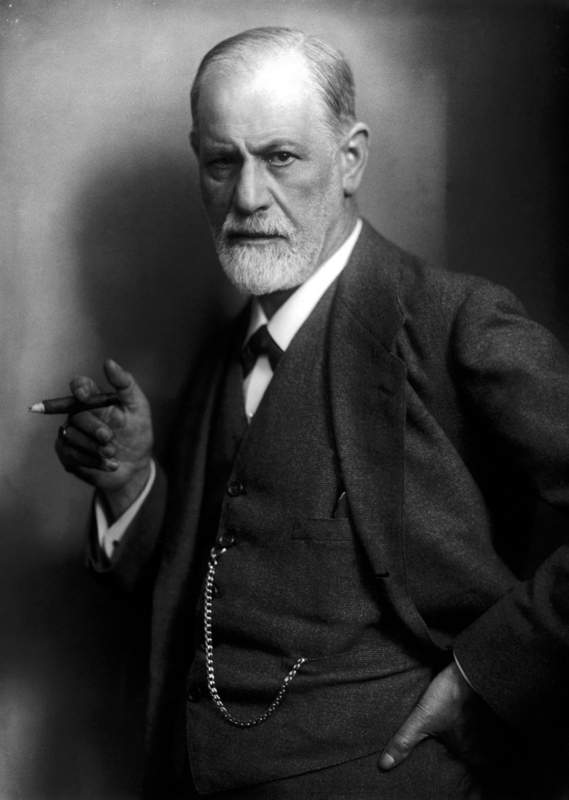 Adolescence, from the Latin adolescere, means “to grow to maturity.” The term took on its technical meaning and its contemporary form after G. Stanley Hall made it famous as a psychological interpretive category within the framework of developmentalism (a framework that really came into its own through the work of Erik Erikson). All that’s to say, adolescence is not actually a thing, it’s an interpretation of a thing. Specifically, it’s an interpretation that sees the young person’s experience as, at its core, a transition to adulthood. The danger in seeing all youth as adolescence is that we will see ourselves—the adults—as the gatekeepers of what young people need. We’ll see our experience, the adult experience, as the best account of what it means to be human and we’ll think our job is to get young people from where they are to where we are. Some youth ministry thinkers have even identified the whole goal of youth ministry as developing adolescents into mature Christian adults. Again, the hammer just sees nails—we see balls of clay to be molded instead of people in relationship. The only tools we’ll see necessary are the ones that can influence young people and move them from A to B. If every young person is an adolescent, we risk turning youth ministry into a Christian adulthood factory instead of a chance to encounter God. So what should we call them? It’s not perfectly clear. I’m fine with “young people” or just “youth,” even though I would guess that those terms also have their dangers. In the end, we have to recognize that terms like these are just training wheels… we’ve got to be able to ride without them at some point. In the end, ministry is about God and people—persons-in-relationship with God. The tools we need are whatever will help us to participate in what God is doing in young people’s lives, to be present in that ministerial event. This means that the tools and even the terminology will change with what God is doing in that moment and we can’t limit ourselves to just one. 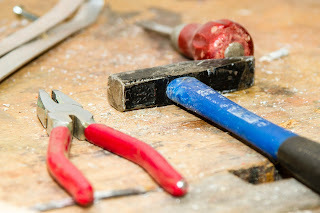 We need to be receptive enough to the Holy Spirit to discern which tool is right for the job. THIS ARTICLE WAS ORIGINALLY PUBLISHED AT MINISTRY INCUBATORS ON JUNE 22, 2017. How Should We Think About Young People? 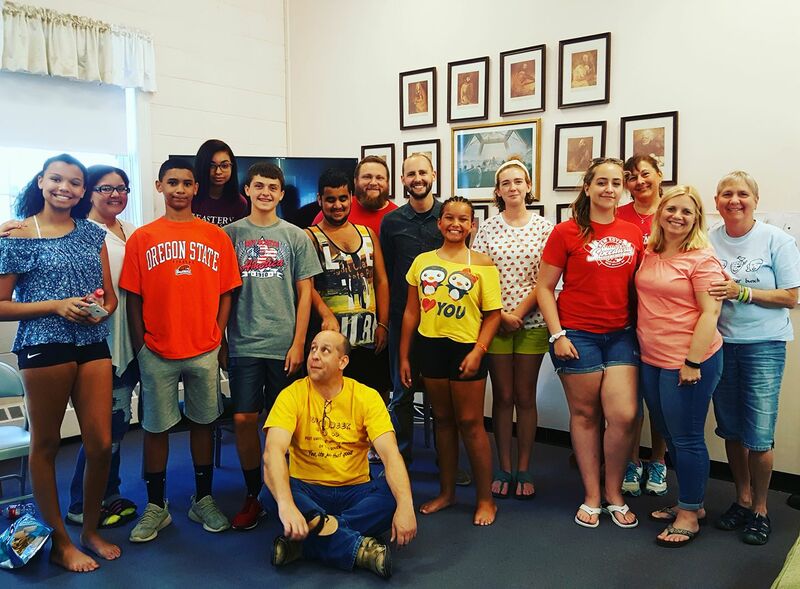 I talked a little with the guys from Kindred Youth Ministry about adolescence and how we should think about young people when I was in Florida for the Flagler Forum. Last month my friends Kenda Dean and Abigail Visco Rusert were interviewed at Yale Divinity School on "awe" and "transcendence" in youth ministry. Take the time to listen to what they had to say, you won't be disappointed. Meet Bobby... Bobby is one of those high achieving kids. At school, he’s an “A” student who sits in the front of the class, actually does his homework, and (gasp!) studies for tests. Bobby’s also a pole vaulter on the track and field team. He’s always among the first to arrive and the last to leave. His coaches consider him to be one of the team’s leaders and an example to his teammates. They hold him to a high standard and, just like in his event, he works hard to clear the bar. For Bobby, church is no different. When he comes to Sunday School, he always brings his Bible with him and is the first to find the Bible passage when the youth minister calls it out. At youth group, he loves to play games, but when it’s time to sit down for Bible study, he never hesitates. He shuffles to the front couch in the youth room and when the youth minister asks, “Who wants to pray for us?” the fingers of most of the other kids in the room often point to him. When Bobby is a senior, he’ll be a shoe-in to preach on Youth Sunday, and his youth minister is just sure he’d be a great pastor someday if he wants to be. Meet Sarah... Sarah is what we call a problem child. She’s not interested in school. She sits in the back of the class and rarely has what she needs with her. She knows what her teachers expect of her—she’s been made to know, all too well, through compulsory visits to the principal’s office and angry lectures from her parents—but she’s become numb to those expectations through a few too many failures. She’s on the drama team, but finds it pointless to audition for the lead roles, since those seem to always go to the same kids anyway. For Sarah, church is no different. She goes to church because her parents want her to be there… and she knows her parents are really only there because they want her to be there too. In vain, her youth minister has invited her several times to sing with the worship team or start a drama club in the youth group. She’s been told that God wants to “use” her. Sarah is tired of being used. She politely smiles and declines. She sits through the Bible studies, listening to all the expectations God and her youth minister have of her. But she knows a thing or two about expectations. She listens while she texts her friends on her cell phone—a safe haven to which she must discretely retreat from the barrage of “calls to action” … until her youth minister takes the phone away, of course. Sarah will never preach on a Youth Sunday, as even praying out loud would be just short of traumatic for her, and she’ll never live up to the standards to which she’s told her God and her youth minister seem to hold her. This article was originally published at Kindred Youth Ministry in February, 2017.